I am no stranger to at home acupuncture products (or as my Husband affectionately refers to them as the “torture devices”). I love my Bed of Nails. It helps me with back and neck pain all the time. What if there were an acupuncture product that could help with my scars, reduce cellulite, tighten and smooth my skin and more? Of course, I would be all over a product like that. That explains my excitement to try out Petunia Skincare Derma Roller. The Derma Roller that I received contains 540 needles that are 1.0mm. That is a lot of needles for one tiny device. I know what you are thinking. Does it hurt? 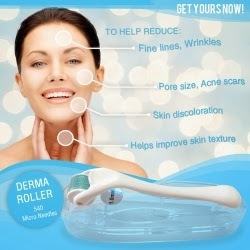 No, I do not feel any pain when I use the Derma Roller. I sometimes feel a slight pinch or pull on the skin (particularly on my scars), but it doesn’t hurt. To use the Petunia Skincare Derma Roller, you roll back and forth 10 times per area in all directions -up and down, side to side and diagonal on clean skin. The surface area of the device is rather small (about an inch), so the process may take some time to do. I occasionally found myself zoning out while using the Derma Roller and I would lose track of my count. I even tangled the needles in my hair..opps. I wish the surface area was bigger in some aspects. However, If it was bigger it would be harder to do roll small spaces and maneuver around curves (like for my knee scar). So, I think it is the appropriate size. I first tried the roller out on my face. I absolutely love using it on my face. I can see a difference in my skin. I did the right side of my forehead first and didn’t touch the left side. My right side looked healthier and felt smoother afterwards. It also creates micro holes that help your skin to absorb more of your moisturizer. 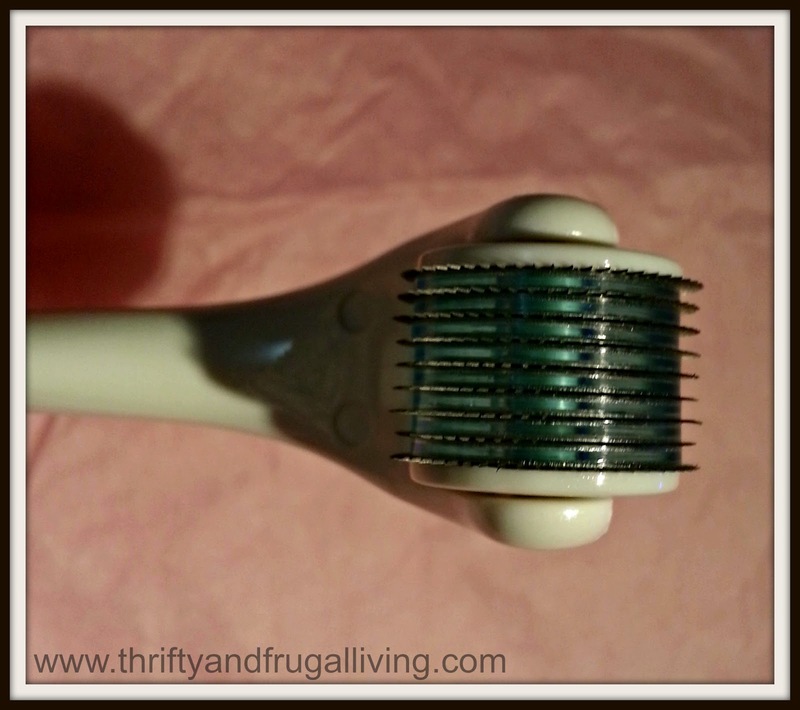 I think this is my favorite use for the Derma Roller by far. You do have to make sure you don’t snag your hair. I recommend pulling your hair back before starting the process. The second place I tried the Derma Roller was on my scars. I have many of them: chin (car accident as a child), neck (disc replacement from car accident a few years ago), a 7 inch scar on my right knee, 8 inch scar on right ankle and two 2 inch scars on my right leg (rollerblading accident about 11 years ago). Needless to say, I have my choice of scars to try out. I tried it first on my neck. It is my most visible scar and the one that I wished would disappear. Unfortunately, the skin is really thin there. I felt it more on this scar than anywhere else on my body. I still didn’t mind it though. What I did not like was how red the scar was afterwards. I can only do this area before bedtime and with extreme caution. I have only used it here a few times as a result. The scar is smaller and isn’t too raised. I didn’t notice a difference with this scar. Next up I tried the HUGE scar that is up and down the center of my right knee. This scar is from a wound that was closed poorly with staples. The scar is wide, raised and rough. I definitely notice a difference with this scar. 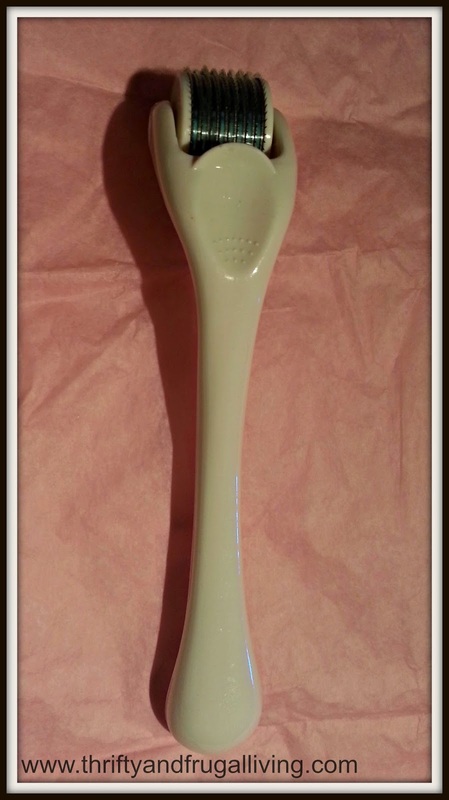 It felt softer and looked better after using the Derma Roller on it. I am hoping with extended use it will fade this old scar even more. I certainly see the difference. I didn’t try it out on my other scars. I have metal screws sticking out of my large ankle scar, so it didn’t seem wise to run needles over them. My other scars are minimal and hard to notice, so I skipped them. 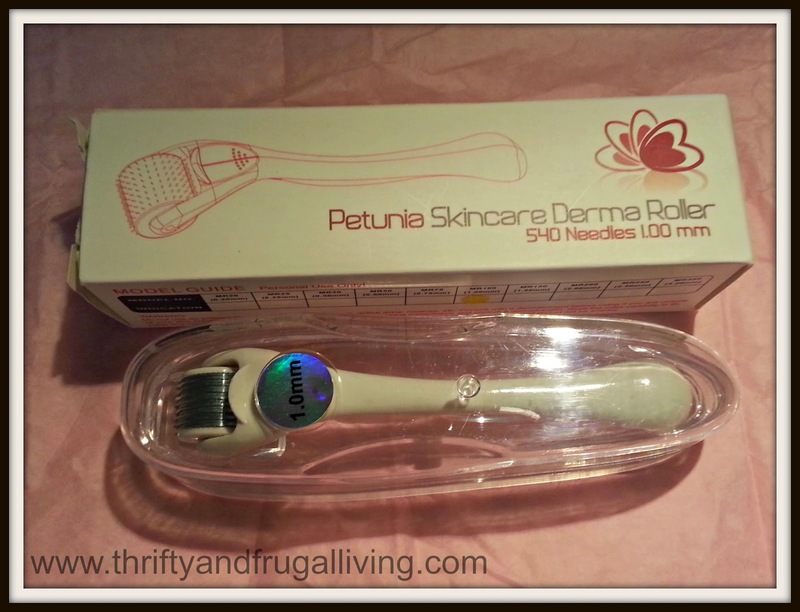 Overall, I really like the Petunia Skincare Derma Roller. While it can be time consuming, it is really easy to use. I will continue to use it occasionally and see if my scars continue to improve. I will also try to use it every few days on my face as part of my skincare routine. I love the benefits that I have noticed for both uses. The Petunia Skincare Derma Roller with 1.00mm and 540 needles is currently only $17.97 on Amazon (regular price is $59.99)!